Kihei, HI: Hawaiian Island Weddings Inc. President Tim Clark has just announced the appointment of a new Chief Operations Officer, Ms. Molly Balzano. Hawaiian Island Weddings, Inc. has been providing wedding services throughout Hawaii for over 25 years and provides wedding services on the Hawaiian Islands of Maui, Oahu, Kauai and the Big Island of Hawaii. For many years the COO of the company was also the company's Vice President Sheri Clark. In 2014 Mrs. Clark succumb to cancer and passed away. The position was taken over by the President until now. "Ms. Balzano is a very capable and intelligent member of the team", said Tim Clark, President of Hawaiian Island Weddings Inc. "I'm very excited to be working closely with her on every aspect of our couples' special day". "I'm very excited to be working closely with her on every aspect of our couples' special day". 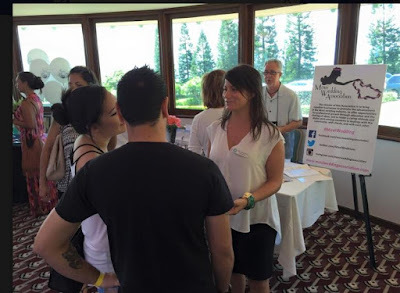 Ms. Balzano was previously the Sales Manager and Marketing Associate with the Maui Bed Store in Kihei, HI, where she increased sales by energizing her sales team and writing extensive marketing strategies for the business. Prior to that, she was the Office Manager for Maui Dental Group in Kihei, HI. Where her duties involved working closely with patients, invoicing and bookkeeping, advertising and marketing, procuring new offices, and generally handling all the "non-dental" duties. "I love new challenges and had a calling (a sign from above even) that I needed to fulfill my destiny in the wedding business"
"I'm very happy to be with the team at Hawaiian Island Weddings! I love new challenges and had a calling (a sign from above even) that I needed to fulfill my destiny in the wedding business", Molly stated. "I'm very happy working with Mr. Clark and Ms. Berce at the corporate offices, and with all the vendors I've met at weddings throughout Maui. I look forward to traveling to other islands to take part in events we arrange over there as well!" Ms. Balzano added.